9:10 On their return the apostles told Jesus all they had done. He took them with him and withdrew privately to a city called Bethsaida. 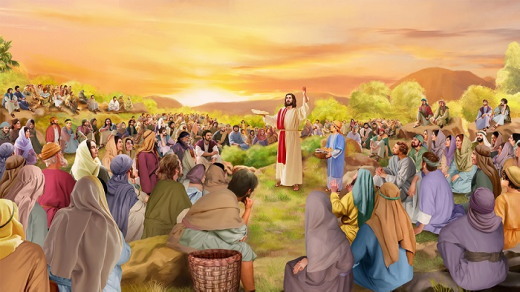 11 When the crowds found out about it, they followed him; and he welcomed them, and spoke to them about the kingdom of God, and healed those who needed to be cured. “We have no more than five loaves and two fish—unless we are to go and buy food for all these people.” For there were about five thousand men.